The UN declaration on the Rights of Indigenous peoples is a deeply significant document. In 2007, then UN Secretary-General Ban Ki-moon described its signing as an “historic moment when UN Member States and indigenous peoples reconciled with their painful histories and resolved to move forward together on the path of human rights, justice and development for all”. 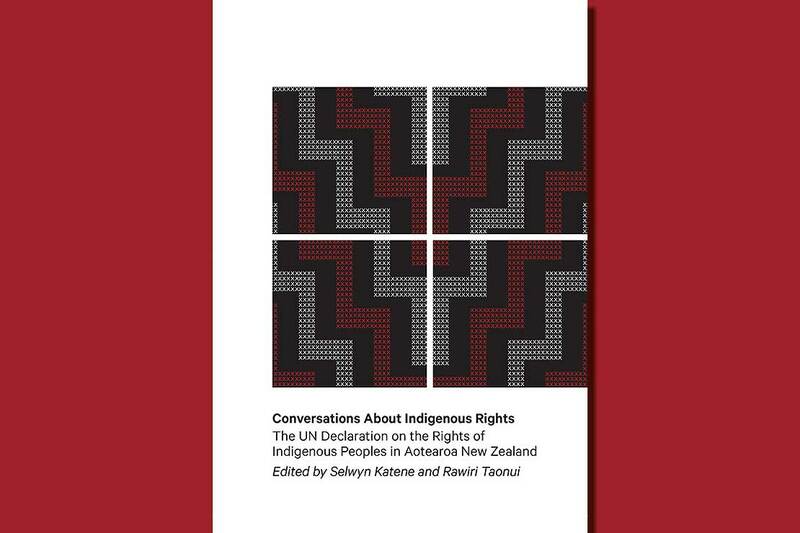 Conversations About Indigenous Rights: The UN Declaration on the Rights of Indigenous People in Aotearoa New Zealand, edited by Selwyn Katene and Rawiri Taonui and published by Massey University Press, reflects on the tenth anniversary of the UN General Assembly’s adoption of the Declaration and examines its relevance in New Zealand. It shows the strong alignment between the Treaty of Waitangi and the Declaration, and examines how the Declaration assists the interpretation and application of Treaty principles of partnership, protection and participation. Starting from a range of viewpoints and disciplines, the authors agree that in Aotearoa New Zealand the journey to full implementation is now well underway, but warn that greater political leadership, willpower, resources and a stronger government commitment is needed. Drawing on both scholarship and lived experience, Conversations About Indigenous Rights features chapters by Moana Jackson, Dame Naida Glavish, Sir Pita Sharples, Rawiri Taonui, Selwyn Katene, Sheryl Lightfoot, Steve Larkin, Kathleen Butler, Anaru Erueti, Jessica Ngatai, Fleur Te Aho, Tracey Whare, Pushpa Wood and Jason Mika. The book also features a foreword by Margaret Mutu, Professor of Māori Studies at the University of Auckland, author of The State of Māori Rights (2011) and a representative of Ngāti Kahu and of Māori in a number of national and international forums. Selwyn Katene, Ngāti Toa, Ngā Ruahine, Ngāti Tama and Ngāti Tuwharetoa, was Professor of Māori and Indigenous Leadership and Director of the Global Centre of Indigenous Leadership at Massey University. Prior to that he was the University’s Assistant Vice- Chancellor Māori and Pasifika, and Director of its MANU AO Leadership Academy. He has been a senior manager at the Mental Health Commission, Ministry of Health, Public Health Commission and in the pharmaceutical industry. He is the author of six books, with an emphasis on Māori leadership. Rawiri Taonui, Te Hikutū and Ngāti Korokoro, Te Kapotai and Ngāti Paeahi, Ngāti Rora, Ngāti Whēru, Ngāti Te Taonui, is an independent writer, researcher and adviser. He was New Zealand’s first Professor of Indigenous Studies. He is a well-known political writer who has written more than 400 newspaper and magazine articles and book chapters. He has won seven writing awards. He has presented at the UN Expert Mechanism on the Rights of Indigenous Peoples and the UN Permanent Forum on Indigenous Issues. He is a member of the Tribunal to Investigate Claims of Genocide in El Salvador.